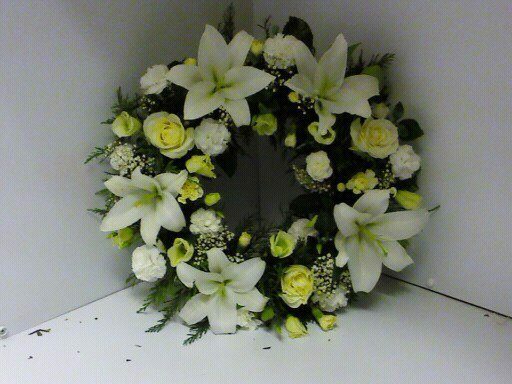 The round wreath is the traditional funeral flower. All funeral flowers comes with a hand written card with a message of your choice. The traditional round funeral wreath.